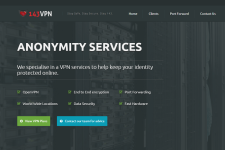 ProXPN [VPNCoupons Exclusive Coupon Code: VPNC62 for 62% Off!] VPN service is brought to you by ProXPN B.V. which is a Netherlands based company. Founded in 2009, the company aims to deliver a safe and secure browsing environment to its customers where they can control and manage their privacy in a better way. In this detailed ProXPN review, we check out the features offered by the company and decide whether or not the service is worth subscribing. ProXPN has VPN servers in four countries – United States (Los Angeles, New York, Dallas and Seattle), United Kingdom, Netherlands and Singapore. Although they do not have VPN servers in many countries, using their service does allow you to watch local content from these 4 countries and unblock sites that use IP address to deliver content such as Hulu, Netflix, Amazon Prime, Pandora, BBC iPlayer among others. 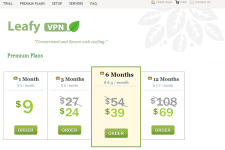 The premium subscribers also get access to all their VPN servers at no additional cost. ProXPN premium users enjoy unlimited speed and bandwidth with no monthly caps or limits. The company has excellent infrastructure in place that can deliver up to 1000 MBPS which makes it one of the best VPN services to watch streaming content and download huge files. The company also allows peer to peer sharing through all their servers which should make torrent lovers happy. ProXPN does not keep a record of your online activities. They only keep logs with bare minimum details such as login time, duration of connection and bandwidth usage for a period of 2 weeks for maintenance and troubleshooting. The service uses 512 bit encryption tunnel with 2048 bit encryption key to deliver totally secure VPN experience. As a premium subscriber, you also get access to VPN Guard that automatically shuts down programs that connect to the internet in case your VPN connection gets disconnected for any reason. The service is ideal for use through all programs that connect to the internet such as instant messaging clients, email programs, FTP applications etc. and is secure enough to protect your data at vulnerable public Wi-Fi spots. This makes ProXPN the best VPN service to surf internet anonymously and bypass government and ISP filters and firewalls. ProXPN VPN service supports a wide variety of operating systems and browsers through OpenVPN and PPTP protocols. It doesn’t matter whether you are trying to use the service through iPad, iPhone, Android based smartphone or a Windows/Mac based computer; you can set up and start using the service in no time. The company offers excellent support through phone, 24X7 helpdesk, email and social media outlets such as Facebook and Twitter. The official website of the company has detailed instructions on how to set up the VPN service on a computer or smartphone and helps you to troubleshoot common technical problems on your own. 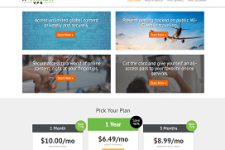 The company’s premium unlimited plan starts at $9.95 per month ($49.95 for 6 months and $74.95 for a year). 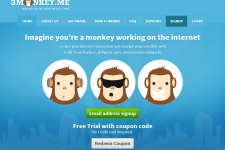 It is also possible to save money while subscribing by using ProXPN coupons. The company offers a 7 day money back guarantee to allow you to test the service without risking your money. 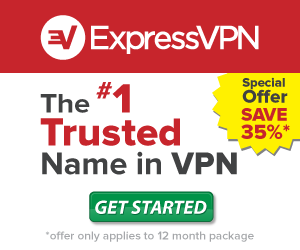 The company is one of the very few VPN providers that offers a never expiring free VPN account with same security and anonymity as the premium account. However the free account has several restrictions in place such as a maximum speed of 300 KBPS, access to just one US server and inability to use the service from mobile devices. Overall ProXPN delivers a great VPN service. While they do not have VPN servers in a lot of countries, they do provide unrestricted speed and bandwidth with excellent privacy and anonymity. 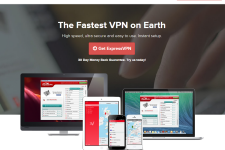 If you are looking for a VPN service that provides excellent value for money then check out ProXPN VPN service today. Please visit: www.proxpn.com.